Carrying on from the last blog, the situation is very much as anticipated. The low which crossed the sub continent is now fizzling out over Sindh (Pakistan). Karachi recieved 80 mms of rain yesterday, Hyderabad (Pakistan) 64mms, and several stations in Sindh between 15-40 mms. With this low fading away, quite weather prevails over much of the sub continent region, till this weekend. 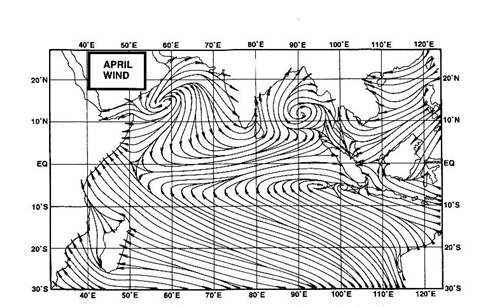 A weak low is forecasted by "COLA" to traverse across India, from east to west, through the states of Orissa, M.P. Maharashtra and Gujarat from Saturday onwards. It is expected to reach Gujarat by Monday. Mumbai will remain hot and stuffy till Saturday, with the day temperature expected to go up to 33 c . Weekend could see some increased rain, more on Sunday and Monday, when around 25-35 mms of rain(with thunder) can be expected. North India is expected to be dry, with no interacting systems. The hot area (red) shown in the map, may spread southwards to some more areas as a result. Severe heat wave has hit Japan. Nagoya recorded 38 c for 2 days. A new national created with Kumagaya reaching 40.9 c. Even Mount Fujiyama reached a maximum of 18.2 c, the highest ever.